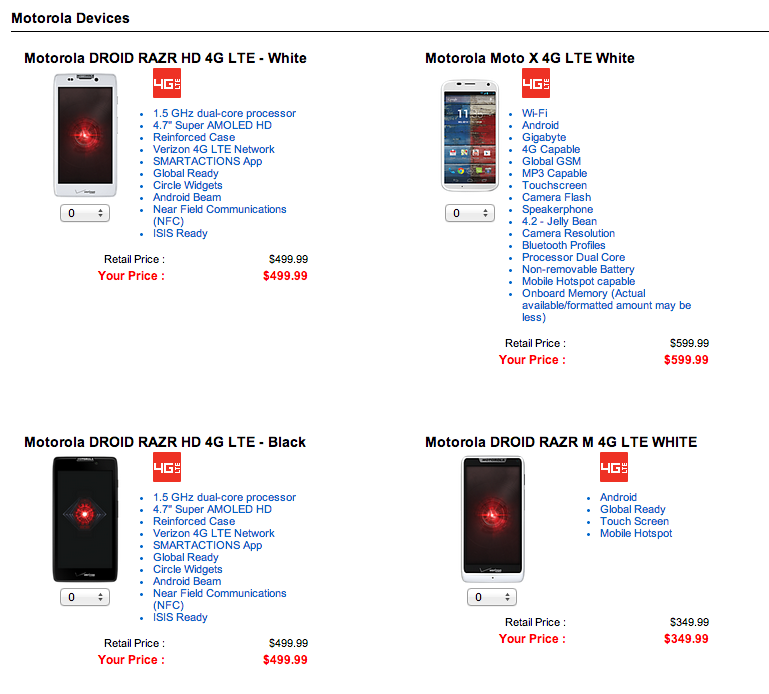 Since Verizon’s website has become a disaster of shopping experience, especially for those who want to keep unlimited data and not get robbed with the industry’s overpriced data bucket scams that you are constantly being forced into, we wanted to point out the easiest way for you to order all of your off-contract, full retail phones from Big Red. This includes the Moto X, HTC One, Samsung Galaxy S4, and almost any other phone of theirs that you have always dreamed of owning (outside of the new DROIDs for some reason). 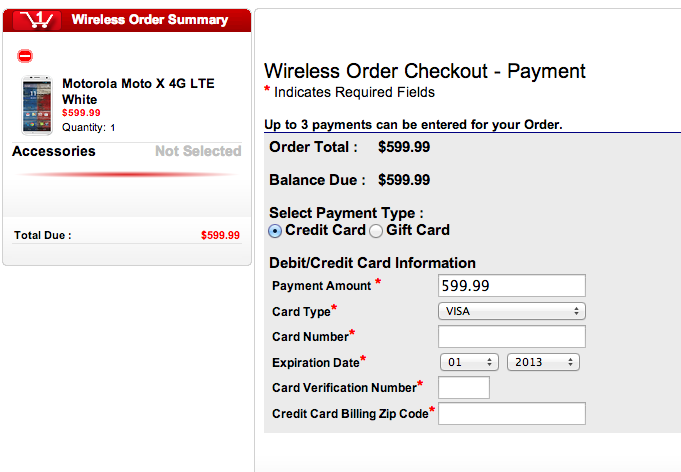 It’s called the Iconic Portal, a spot in Verizon’s site that typically is reserved for pre-orders of phones. However, you can order full retail phones without the fuss through here as well. And when I say “without the fuss,” I’m not kidding. If you follow the steps below, at no time will you be asked to change plans, join a Share Everything scam, or use Verizon Edge. You find your phone, see the full off-contract price, add it to a cart, jump through a couple of confirmations, and then order. It’s that simple. 1. Visit Verizon’s iconic portal website. 2. Sign-in as an existing customer. 4. Tap the “All Devices” button at the top to see their entire lineup. 5. Find the phone you’d like to buy and select the amount you want. 6. Press the “Continue” button. 8. Enter your billing info. 10. Confirm the order again. 11. Pay for your new phone. Galaxy S5 Rumor Watch 2013: Samsung Looks to Incorporate Metal Chassis and 16MP With OIS?